With four qualified PGA Professionals who provide excellent golf lessons in Sussex, an undercover driving range, C Swing video coaching, a 9-hole par 3 course, three chipping and putting greens and two fabulous 18 hole courses, we have everything to offer the complete beginner to the experienced player. It is an honour and a responsibility for a PGA Professional to teach golf. Whether it is introducing someone new to the game, or improving an existing player's consistency and enjoyment, there surely cannot be anything more rewarding than imparting and transferring knowledge. 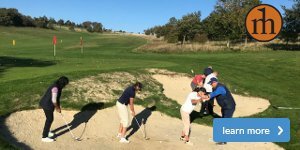 At Worthing Golf Club in Sussex, Michael Henning Golf offers an extensive range of coaching programmes for Beginners, Juniors, Ladies, Seniors and Adult players. Contact us about your golf coaching and let's get started on the journey to better golf and more fun. 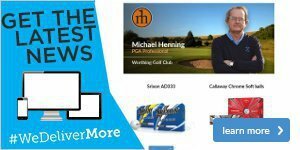 Click here for coaching with Head PGA Professional, Michael Henning. Click here for coaching with PGA Professional, Matt Coles. Click here for coaching with PGA Professional, Nigel Lee. Click here for coaching with PGA Professional, Zhane Mayo.